Jodie’s professional mentoring assists professionals to manage stress at work, rebuild confidence and create more balance, while reaching for their full potential. Today’s work environment is becoming more intense, and the challenges professionals are facing are growing. 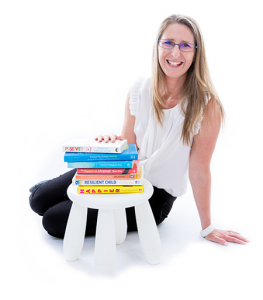 Jodie’s professional mentoring is a unique blend of coaching, teaching and support, which quickly facilitates both personal and professional growth. The professional mentoring program focuses on building positive mindsets and improving self-discipline. The result is an increase to your productivity, happiness and motivation, inspiring a positive culture shift at work. 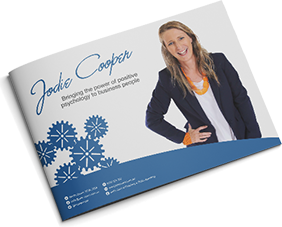 Jodie’s programs are available face to face or over the phone, making Jodie’s professional mentoring available not only in the Illawarra, but right around the world. If you want an exceptional business, you need exceptional people, and Jodie’s business is built around developing exceptional people. Jodie will help you to thrive, create synergy and support you and your team on the path to success. Essentially, professional mentoring will enable you to build more positivity, productivity and profitability.